Towson’s University Store has a new textbook valet service for students in order to maximize limited sales floor space and increase textbook sales. The UStore is finding ways to alleviate students’ stress about finding their books, making it easier for students to find their course materials. There will be no additional charge for the valet service. Students will only be paying for the course materials they plan on purchasing. “I think students will definitely save time using this service because the UStore has a lot of the textbooks needed for classes,” Rudman said. 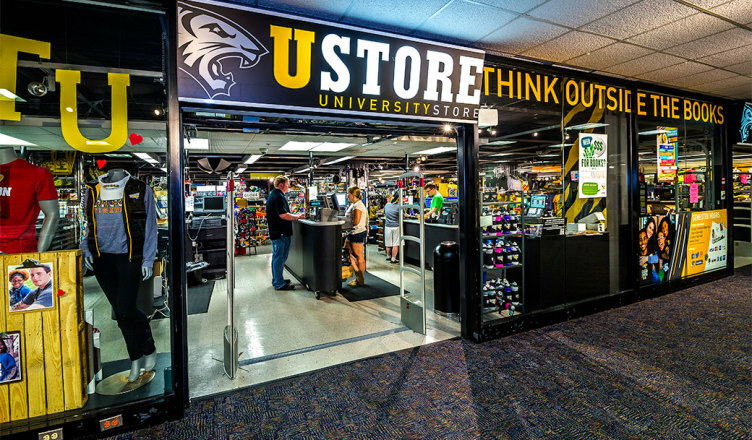 The UStore is in the process of slowly downsizing in preparation for a remodel of the University Union in the next year or so. The valet service is the store’s way of still providing convenient service to students during the changes. According to Simmons-Barth, the new look has already begun for the course materials in the store. There is “new signage and an entire new theme happening in our textbook area,” Simmons-Barth said. The University Store has many options for their customers to ensure that students have the right materials and even the right resources for all purchases. Elofir indicated that customer service is a main priority at the UStore.